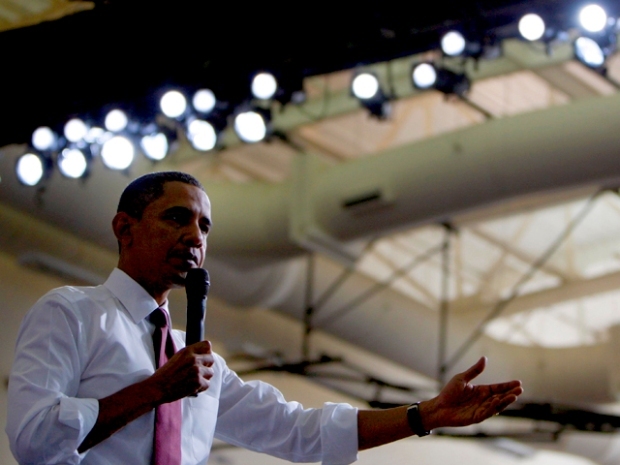 If you work in government, President Obama wants you to help curb federal spending. Think you can do better than your federal boss? President Barack Obama wants to know how. Obama on Saturday announced a plan for federal workers to propose ways to improve their agencies' and departments' budgets. The president said employees' ideas would be key as his Cabinet officials cut millions from the federal budget and trim the deficit. "After all, Americans across the country know that the best ideas often come from workers, not just management," Obama said in his weekly radio and Internet address. "That's why we'll establish a process through which every government worker can submit their ideas for how their agency can save money and perform better. We'll put the suggestions that work into practice." Obama's pitch comes at the end of a week focused on federal spending. On Friday, Democrats in Congress neared a deal on Obama's budget proposal and inched closer to passing a bill that would result in some $500 billion in deficits. To confront that perception, Obama earlier in the week ordered officials to identify $100 million in savings to achieve over time — a relative pittance against the broader plan, his aides later acknowledged. "Earlier this week, I held my first Cabinet meeting and sent a clear message: cut what doesn't work. Already, we've identified substantial savings," Obama said. "And in the days and weeks ahead, we will continue going through the budget line by line, and we'll identify more than 100 programs that will be cut or eliminated." Critics scoffed at the amount, compared to the massive spending Washington allocates annually. Nonetheless, Obama continued his push for fiscal restraint. "We cannot sustain deficits that mortgage our children's future, nor tolerate wasteful inefficiency," Obama declared. "Government has a responsibility to spend the peoples' money wisely and to serve the people effectively." Republicans compared the Democrats' budget to France's. "We Americans always have had a love-hate relationship with the French, which was why it was so galling last month when the Democratic Congress passed a budget with such big deficits that it makes the United States literally ineligible to join France in the European Union," Tennessee Sen. Lamar Alexander said in the GOP's weekly radio address. "Now, of course, we don't want to be in the European Union. We're the United States of America. But French deficits are lower than ours, and their president has been running around sounding like a Republican — lecturing our president about spending so much." Obama said his administration would make $2 trillion in deficit reductions in the next decade, a pledge Obama has made repeatedly during his first three months in office. He also said he wants to re-evaluate priorities in the capital and urged Congress to pass legislation that would force lawmakers to pay for new policies and avoid large deficits. He also told agencies they could keep a part of the money they save. "So much of our government was built to deal with different challenges from a different era," said Obama, noting that he took office facing a $1.3 billion budget deficit. "Too often, the result is wasteful spending, bloated programs and inefficient results."